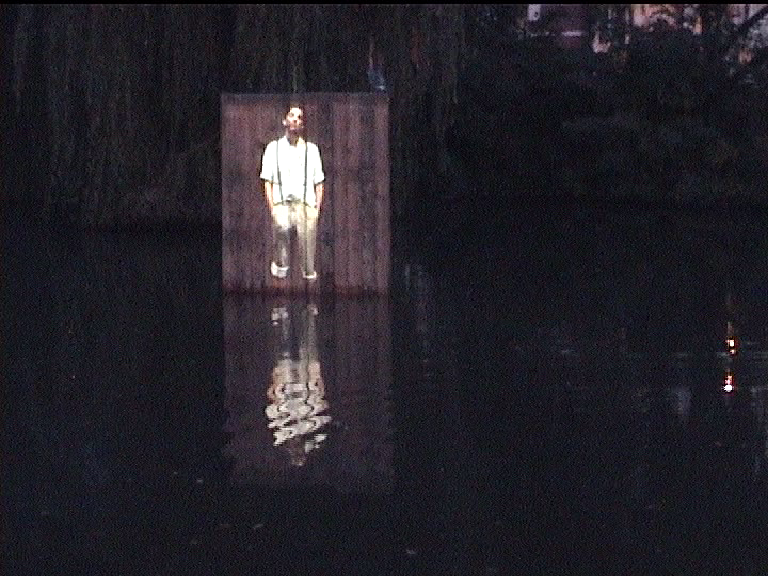 On a wooden screen in the center of a pool of water a projection of a young man stands till his ankles in the water. He resides in quiet contemplation. 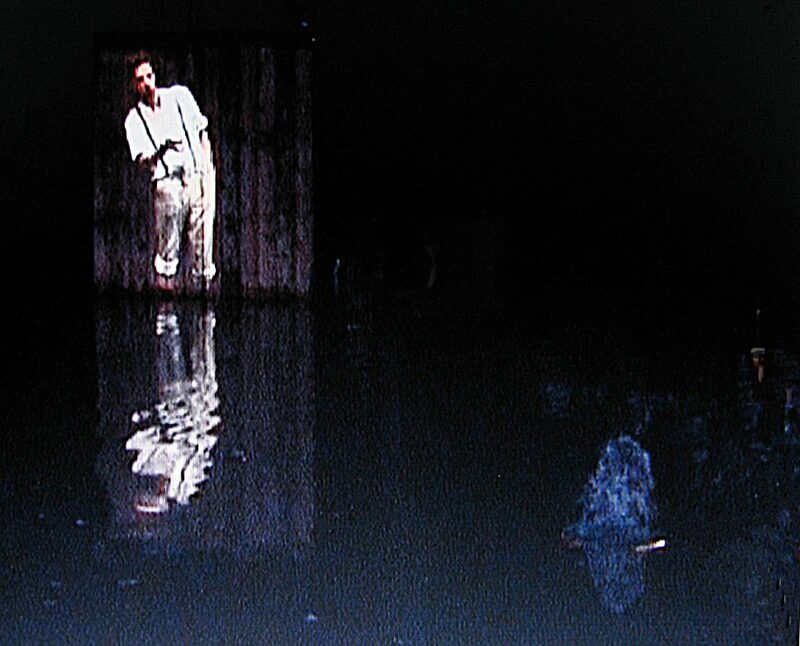 So now and then, he tosses a stone into the water, which materializes before the viewer, landing in the water with a real splash. Such aimless pastimes foster tranquility, awareness, and clarity of thought. 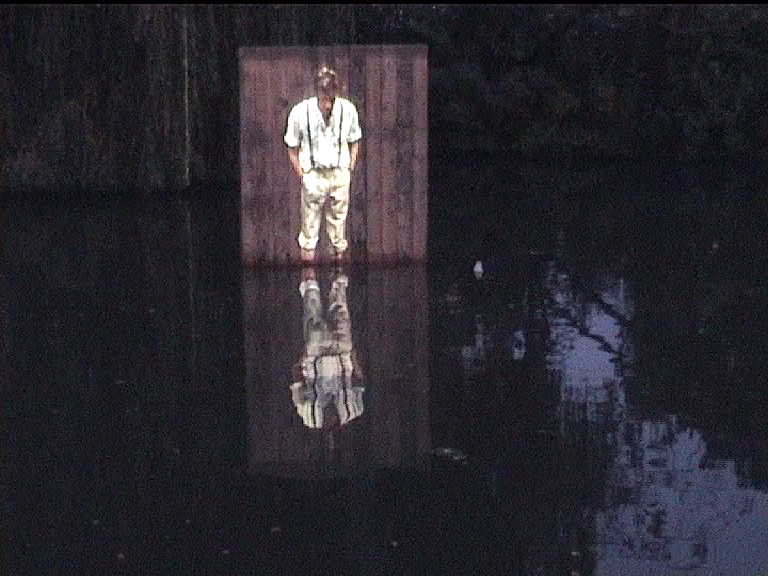 It allows ideas to grow organically, to appear and disappear freely. This type of informal meditation plays a vital role in the work of many great thinkers and artists.� Thus, Henk is a homage to them and to the importance of apparently pointless activities.